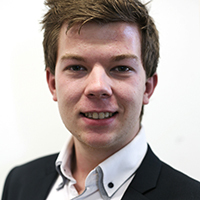 Calum has been working as a structural engineering consultant at Alan Wood & Partners. Here he tells us about his time there. I have done such a variety of things since starting. I have designed beams for house renovations, making them open planned. I have done the structural designs on an Orangery, designed the gate, gate post and foundations for a college, and have done the architectural drawings for a large office/warehouse for a big company. I have most recently finished helping do the structural designs for the renovation of the student’s union at the University of Hull. I am currently working on a large extension for a three story house. The best part has been what I have been doing at the moment. I have been given a fresh project, to do the structural designs on a large cottage that is going to be built, rather than be altered. Once I have finished my placement, I aim to have a better understanding of the real world engineering problems and solutions, and be able to tackle problems with confidence and ease from the skills I have learnt throughout the summer. I have been thrown in the deep end and have managed to keep my head above water! I have been given my own projects, been trusted to complete drawings to a standard which are to be used in the construction process, and have been given responsibility to contact and consult with both clients and contractors when working on their project. I am working as if I was employed here at the company, rather than a student that has been hired for a summer placement. The amount of tea that everyone goes through here is incredible. I think I know where the majority of tea in the UK is consumed. And there are only 6 of us here.